At a crucial point in his business life, executive Gondo learns that his son has been kidnapped and that the ransom demanded is near the amount Gondo has raised for a critical business deal. Gondo is prepared to pay the ransom - that is, until he learns that the kidnappers have mistakenly abducted not Gondo's son, but the child of Gondo's chauffeur. Now Gondo must decide whether the other man's child is equally worth saving. An executive mortgages all he owns to stage a coup and gain control of the National Shoe Company, with the intent of keeping the company out of the hands of incompetent and greedy executives. He needs the same money, though, to pay the ransom that will possibly save a child's life. His resolution of that dilemma -- the certain loss of the company vs. the probable loss of the child -- makes for one distinct drama, and an ensuing elaborate police procedure makes for a second. Masterful first hour, but then the film gets thrown out the window... **SPOILERS**As I began watching this movie, I was glued to it from the very start. The situation which was set up was a masterful one: a man kidnaps a child whom he believes to be the son of a rich businessman, but who actually turns out to be the son of the businessman's servant. The kidnapper still insists on getting the money from the businessman. The ransom equals much, much more than the businessman can afford. So what are his choices? He can either pay the ransom and become poor, or he could indirectly kill a young child and be forever blameworthy in the eyes of the public, his associates, his son, his wife, and, most importantly, in his own eyes. 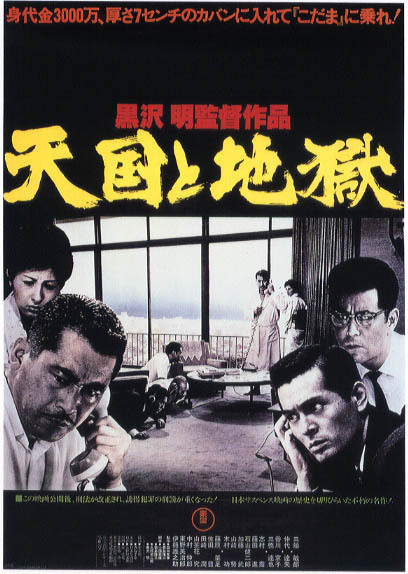 This businessman, Gondo, played masterfully by Toshiro Mifune, undisputedly one of the best film actors of all time, struggles with his decision, and I struggled with him. And every second of the film for the first hour or so is extremely intense until... SPOILERS!!! the kidnappers return the child after they get the money. 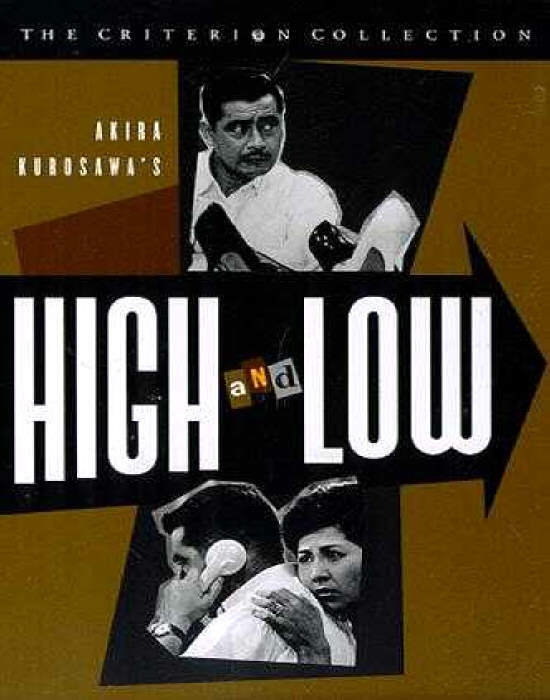 After this, there are only a few great Kurosawa touches at the edges of a very conventional detective vs criminal film. 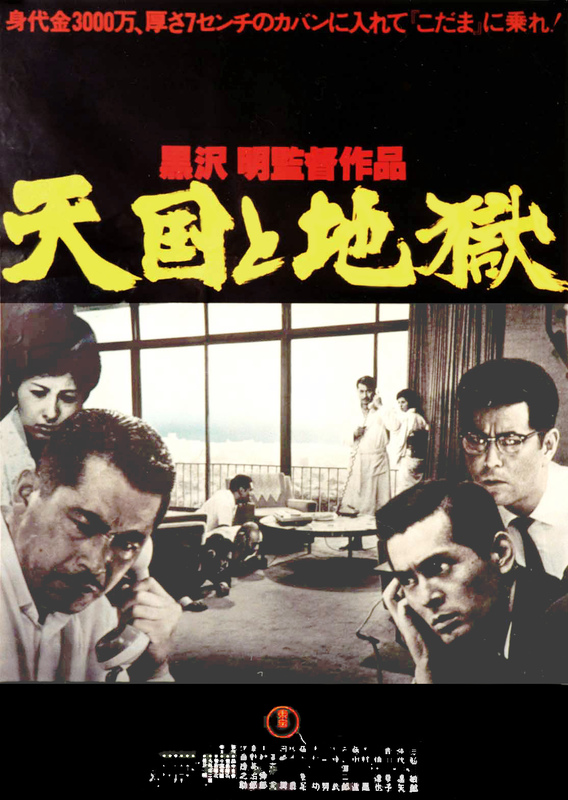 There is nothing at all new in this part of the plot, which lasts for at least 60% of the film's running time. In fact, the detective work is so poorly conceived and written. Half the time they're skipping over the most obvious leads, and the other half of the time they're following leads that would have in reality been impossible to figure out. One of my very favorite television shows is Hawaii Five-0, and there were several kidnapping episodes in that series. This detective story, filmed by one of the greatest artists of the 20th Century, does not even touch the most lame-brained Five-0 episode ever produced. And it is an utter shame that Kurosawa, one of the world's greatest directors, wasted his time on this trite and moronic plotline. His films show us again and again philosophical problems of the greatest degree. For goodness' sake, take a look at Rashomon! Has there been a more deeply philosophical film made? And _High and Low_ has this sort of depth of philosophy in it, too. It is just relegated to right field where it hardly ever comes into play. The title of the film itself refers to the difference between the wealthy and the poor. The kidnapper is poor, and he loathes the rich man, Gondo, so he attempts to switch places with him on the social ladder. And there is a very powerful final scene where the kidnapper demands to meet with Gondo before he is put to death. Here the kidnapper confronts Gondo and tells him why he did it. It is a great moment, but it is difficult to feel anything for his situation. He hardly appears in the film until half-way through, and he only appears for any long period of time in the last half an hour of the film. He should have permeated the entire film, and the detectives should have been given more of a back seat. Perhaps the kidnapper should have been even with Gondo. But even Gondo misses out on half the film! NO MORE SPOILERS!!! I would still tell any fan of the director's to see this film, but it is truly a disappointment for someone of such great talents. Rashomon! The Seven Samurai! Yojimbo! Ran! Kagemusha! Yume! High and Low does not belong on this list. 7/10.